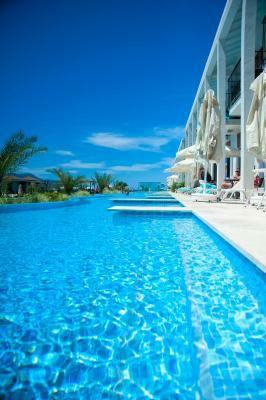 Lock in a great price for Jiva Beach Resort - All Inclusive – rated 9 by recent guests! 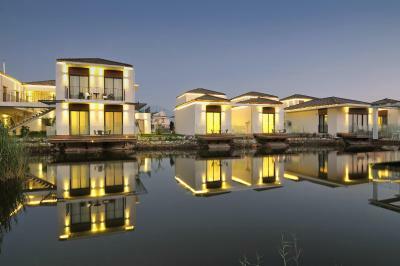 It's a beautiful resort will all activities in house. You can spend an entire month here and still will not get bored. The food available was extra ordinary exceeded our expectations, all the staff were very humble, respectful and helpful. Our holiday was simply awesome. The evening shows were mind blowing. rooms were in good size and shape.. food was good.. The food was fabulous. Facilities are excellent. The view is superb! The food was so nice. I still miss the fruits that they provided. 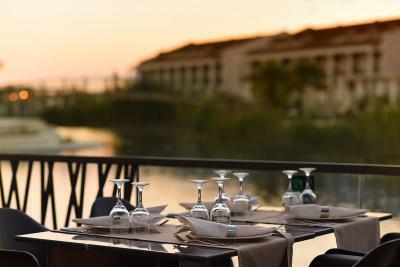 Jiva Beach Resort - All Inclusive This rating is a reflection of how the property compares to the industry standard when it comes to price, facilities and services available. It's based on a self-evaluation by the property. Use this rating to help choose your stay! 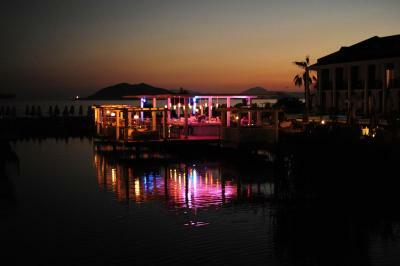 One of our best sellers in Fethiye! 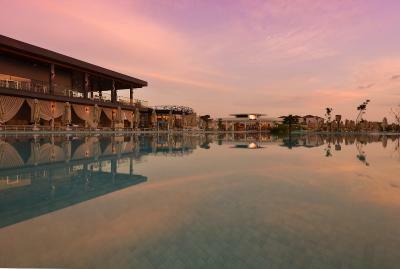 Located in Fethiye, Jiva Beach Resort offers all-inclusive service. Sat in a 115 ft² area, the property features a natural lake along with 5 swimming pools offering an activity, silent and slides pool. 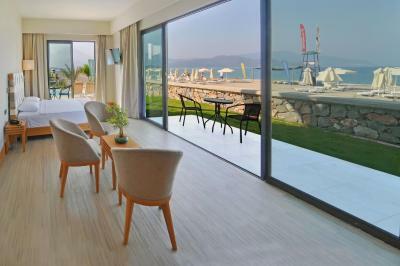 Numerous activities including billiards, darts and table tennis are available on site. Free WiFi and a 24-hour front desk are available in the property. 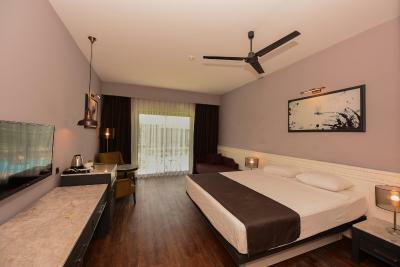 All rooms at Beach Resort Jiva come with modern decoration. 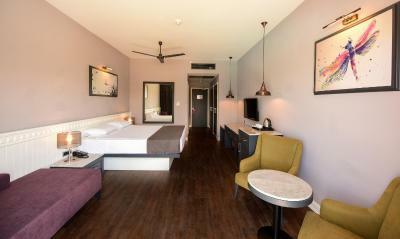 Rooms are fitted with an 32" LED TV, mini-bar and a safe box. Featuring a rain shower, private bathrooms come with a hairdryer and free toiletries. 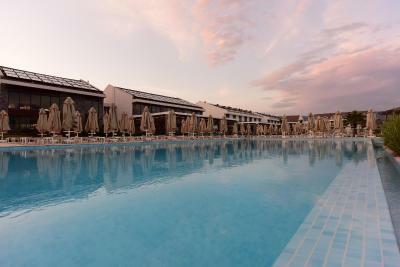 Some rooms have direct access to the pool as well. 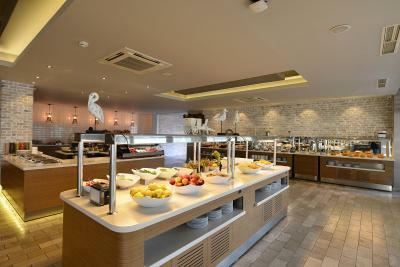 You can enjoy buffet breakfast, lunch and dinner at the main restaurant. 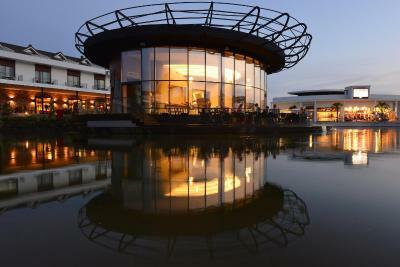 There are also 2 additional restaurants and a snack restaurant serving a variety of delicious dishes. Pastries are available 24 hours in the patisserie. 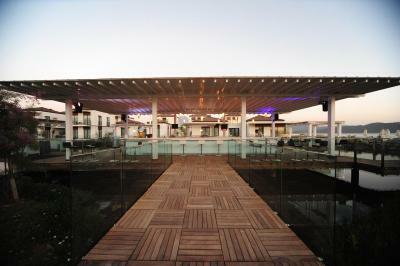 Pool bar offers ice cream, snacks and refreshments 24 hours, within all-inclusive concept. 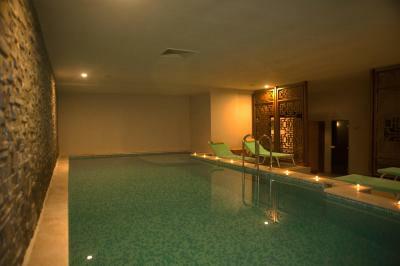 Spa facilities include a Turkish bath, sauna and fitness room; massage services are also provided. 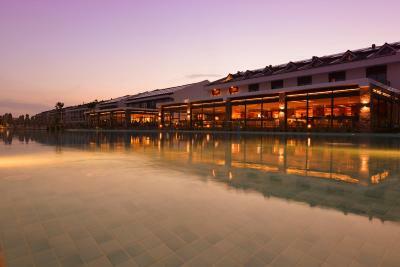 Daily entertainment and night shows are organized on site by a professional staff. Guests can dance and enjoy the music the disco. 400-people capacity amphitheater is available for entertainment and live performances.There is also a games room. Paragliding is very popular in this area. 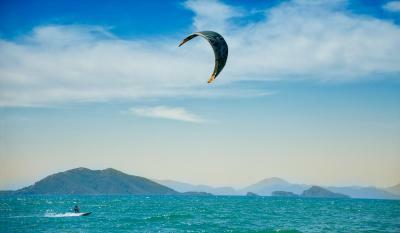 Babadag where you can do paragliding is only 50-minute drive from Jiva Beach Resort. 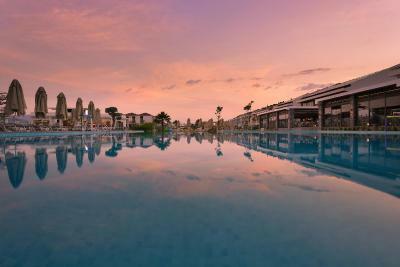 Only 1.9 mi to Fethiye city center, Jiva Beach Resort is less than 12 mi to the Oludeniz Beach (Blue Lagoon). Dalaman Airport is 28 mi away. Free private parking is available on site. 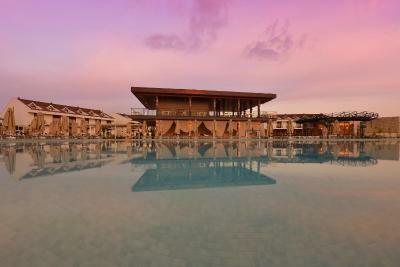 When would you like to stay at Jiva Beach Resort - All Inclusive? This room includes 2 bedrooms and a living room. Air conditioning, LED TV and 24-hour room service is available. Some rooms also offer sea views. 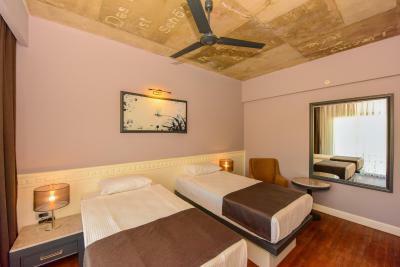 This air-conditioned double or twin room has a private access to the swimming pool. 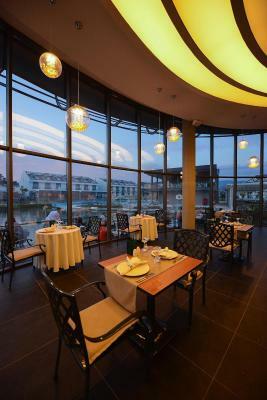 Guests can enjoy the view from the balcony with seating area. There are also two sun loungers in the balcony. Private bathroom comes with a shower, hairdryer and complimentary toiletries. Elegantly decorated, this spacious suite has 2 bedrooms, a living room, kitchenette, a private access to the pool and a private garden. Air conditioning, LED TV, and a spa bath are available in the suite. It also offers sea views. 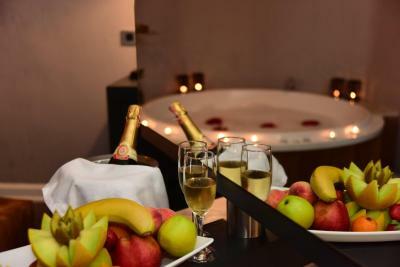 On arrival, there is complimentary stocked mini-bar, fruit basket and a bottle of wine in this suite. Guests can enjoy their breakfast in the suite for once. To use this service, guests need to order it a day ago. 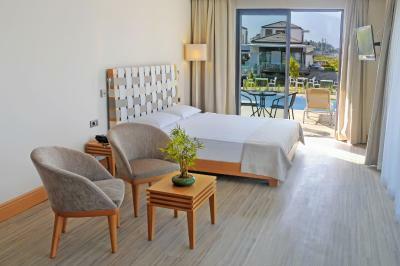 This air-conditioned triple room has a private access to the swimming pool. 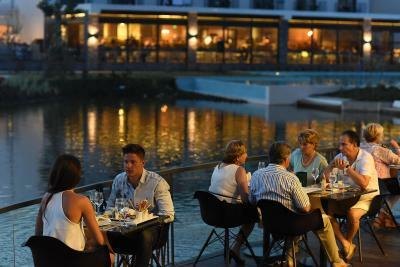 Guests can enjoy the view from the balcony with seating area. There are also two sun loungers in the balcony. Private bathroom comes with a shower, hairdryer and complimentary toiletries. Please note that this room has no extra bed capacity. 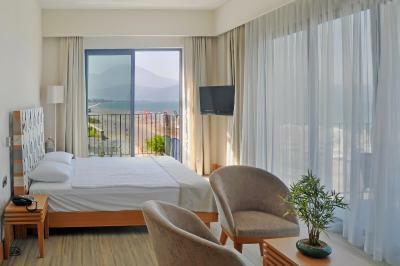 Tastefully decorated, this room includes air conditioning, LED TV and balcony with land view. Private bathroom comes with a rain shower, hairdryer and complimentary toiletries. 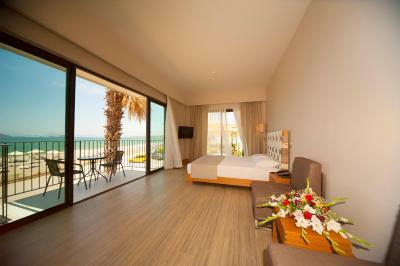 Tastefully decorated, this room includes air conditioning, LED TV and balcony with pool view. Private bathroom comes with a rain shower, hairdryer and complimentary toiletries. 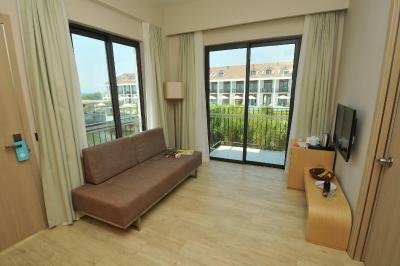 This air-conditioned room includes an LCD TV and a balcony with land view. Private bathroom comes with a rain shower, hairdryer and complimentary toiletries. 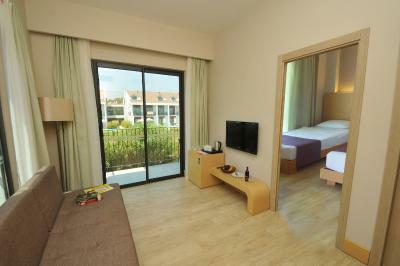 This air-conditioned room includes an LCD TV and a balcony with pool view. Private bathroom comes with a rain shower, hairdryer and complimentary toiletries. This double room features a balcony, spa bath and air conditioning. 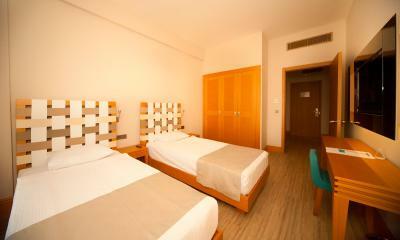 This room includes 2 bedrooms, air conditioning and LED TV. Some rooms also offer sea views. Private bathroom comes with a rain shower, hairdryer and complimentary toiletries. 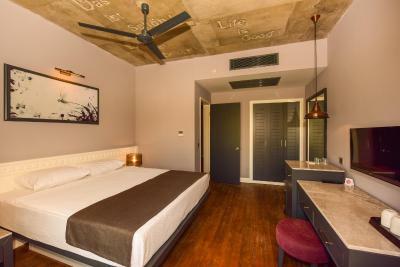 Elegantly decorated, this air-conditioned room has a LED TV and a balcony. Private bathroom comes with a rain shower, hairdryer and complimentary toiletries. This air-conditioned family room features a balcony with either pool or garden views. Private bathroom comes with a rain shower, hairdryer and complimentary toiletries. 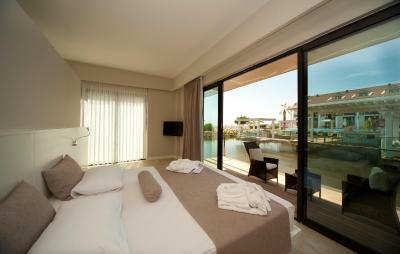 This twin/double room has a balcony, mini-bar and flat-screen TV. Private bathroom comes with a rain shower, hairdryer and complimentary toiletries. This twin/double room has a mini-bar and flat-screen TV. Private bathroom comes with a rain shower, hairdryer and complimentary toiletries. 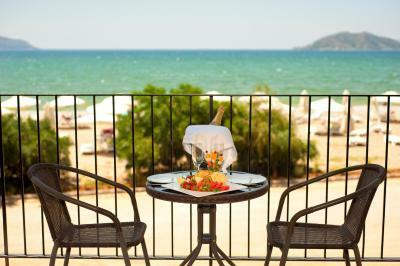 This suite has a balcony, soundproofing and sea view. 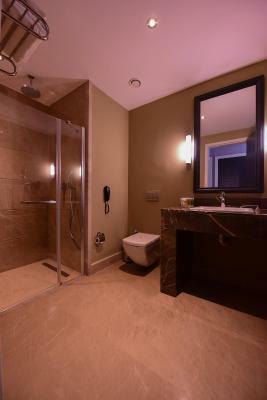 Private bathroom comes with a rain shower, hairdryer and complimentary toiletries. 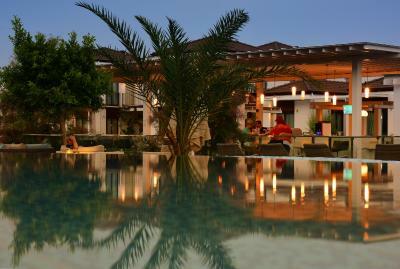 House Rules Jiva Beach Resort - All Inclusive takes special requests – add in the next step! Jiva Beach Resort - All Inclusive accepts these cards and reserves the right to temporarily hold an amount prior to arrival. It was the beginning of season but very little to keep adults entertained in the evening, an hour long dance / acrobat show outside in the cold from 9.30 to 10.30pm is simply not enough, the outside bar areas need patio heaters desperately, and this is one of the only 5 ***** resorts i have been to where the night club is not open all week or even the Friday evening (other than kiddie disco ) and two of the three Ala Carte restaurents are closed ? even a member of staff said they were very busy with over 700 guest's instead of the usual 400+ and the Hotel was not prepared, why ever not ? even more reason to up the game entertainment and Restaurent wise, and what are you supposed to do after 10.30pm, go to your room ? ....Pools are freezing ! I mean really really cold, so much so you almost never saw a person using them in the week we were there, Air Con not able to be used in the rooms even though the standard "in the roof rooms" were incredibly hot and stuffy, told by staff, "the whole hotel is currently set to heating" ...Why ?... I want to be able to choose when i can activate the Air Con in my room, not when it suits the hotel. Very helpful and friendly staff who go out of their way to help and advise, particularly in the main restaurant, food choice is very varied and immaculately clean, very close to beach, nice bar areas throughout (except Lucca lounge) more like a very bad pub with no music and no atmosphere whatsoever, it's basically a 24hr snack bar with alchohol and seating. 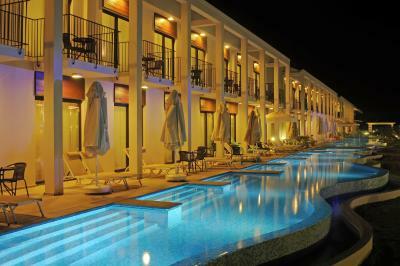 The beds are very comfortable and cleaned regularly, the grounds are well kept and sercurity appears good. WiFi patchy. Child ‘z-bed’ very uncomfortable. Sound proofing in rooms not good - avoid a room above the late bar / disco! the food is not my style but I would not put too hard on that. I am quite satisfied with the experience in the hotel. most facilities in the hotel are free. the staff is nice. I can't complain about one thing. It was our first time going to turkey and doing all inclusive. We are family of 4, 2 kids 13 and nearly 18 (boys).. we fell in love with the place. Kids can't wait to go back next year. People were amazing. So friendly and couldn't do enough for you. 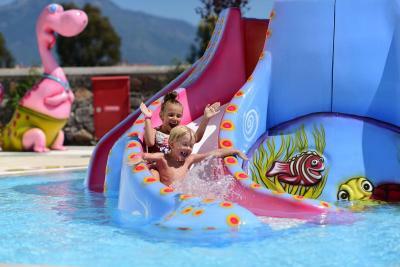 Our kids were too big for kids club but you could see the little ones having an amazing time. Entertainment team worked so hard. Come evening time there were shows on in the theatre which were spectacular. Night club on site. Kids disco from 9 to 9.30. Karaoke nights. There was an never ending amount of food and drinks. Food was absolutely gorgeous something to suit every taste with themed nights. You didn't have to spend a penny if you didn't want to but literally out side the gate of the resort there were beach activities and trike mopeds available to hire (such a laugh) 20 euro for 3 hours. Day trips can be booked with Stevie in the hotel plus she can source anything (chemist.. etc )you need and have it dropped to your room.. We did 2 day trips which cost 300 euro for the 4 of us ... one was quad biking again great fun scenery on the way there was wow. Second to turtle island.. mud baths and natural springs.. long day.. we were there just last week (april).. no turtles 🙁 till later in the summer but still beautiful place... you'd need to bring a few quid. 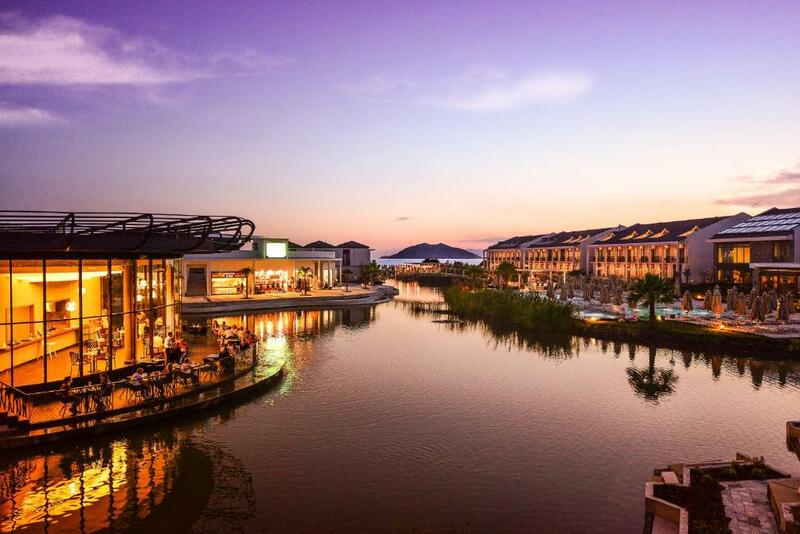 Jiva resort is undoubtedly the nicest places we have even been and can't wait to return to catch up with Angel and emerald working In the bar and bahadir from the entertainment team. Keep up the great work guys.. I can say we were apprehensive about travelling to turkey (don't know why) but I think we found a small part of heaven on earth. yes of course , i enjoyed every thing there and they are so friendly i hope to visit the place again in the future . We had 2 quielt instead of one for 2 person . One big one would be better. However it was still good. Almost nothing. They can mention to guests in door pool not heated even it was freezing(shock pool) also no clock anywhere around this two thing simply to fix. Extremely helpful and smiley staff they were just amazing this including all of them. 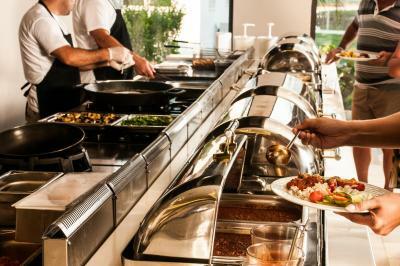 Buffet foods were brilliant everyday different and really testy selections and it was suitable for all nationalities. All day and 24hrs you can find something to eat. 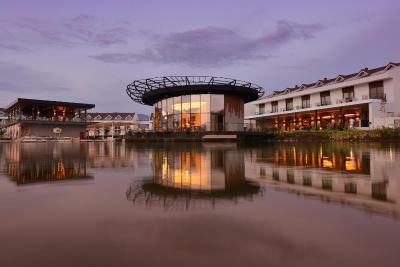 I've been many 5star hotel but this one i really love it and enjoyed it. Resort not too big and that makes lovely and cozy atmosphere. 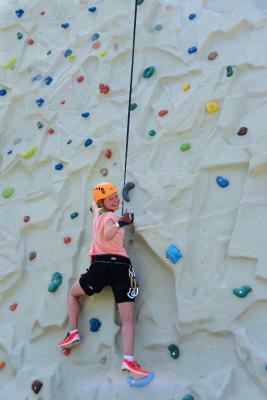 Many activities for adults and kids all day. I love the a la cart restaurants and evening shows. Staff weren’t great, everyone from management down were unhelpful and everything was too much trouble for them. All inclusive food was great, but local alcohol included was bad and they didn’t have very much available that you could purchase either.. The hotel room (family pool room) was brilliant, spacious and layout was great. It was a beautifu location; staff were attentive and supportive; good place for a person living with a plhysicl limitation; easy access to local town by public transport or taxi; wide range of activities; excellent food, wide variety.